A unique, one-stop handbook for mixed breed dog ownersKnown for their individuality, mutts have become the most popular dogs in the United States! 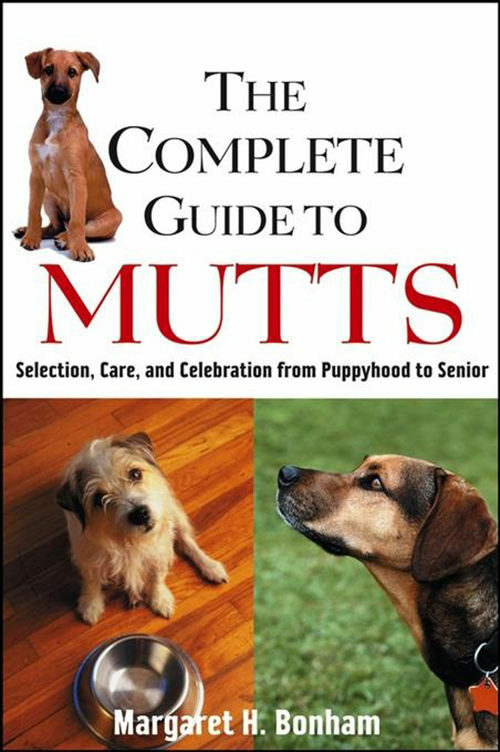 Now, The Complete Guide to Mutts addresses all the special needs of owning a mixed breed, providing comprehensive, reliable information in one authoritative resource on everything from health and training to behavior issues-something you won't find in other books.Written by Margaret Bonham, a dog writer who has tremendous firsthand experience with mixed breeds, the book covers such important topics as beyond-the-basics obedience training, holistic therapies, and common problems in older dogs, as well as mutt-specific information on routine health care. You'll also discover:* Why mutts are number one in the hearts of millions and why a mutt might-or might not-be right for you* How to find the perfect mutt through a shelter or rescue organization* The general types of mutts and how to tell what your mixed breed may be* The difference between training a puppy and an adult mutt* How to understand your mutt's behavior-and change it if necessary* The best supplies for your mutt, including feeding dos and don'ts* The latest on competing in obedience, agility, and other performance events. Otros ebooks de Margaret H. Bonham.